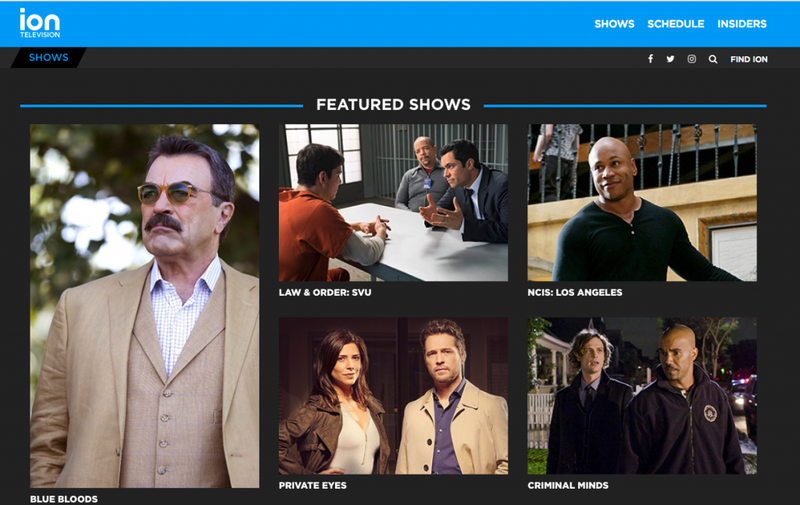 Ion Television is a great network if you’re a fan of shows like Blue Bloods, Law and Order, and other procedural dramas. The network focuses on syndicated programming, often playing individual shows for 8-10 hours at a time. Talk about binge-watching heaven! But if you’re cutting the cord and ditching your cable company, you may not be sure how to watch Ion without cable. Well, don’t worry. You won’t have to miss out on Psych just because you wanted to save money on your monthly cable bill. What Other OTA Channels Can I Get? Can I Watch Cable Channels with an OTA Antenna? No TV Antenna? Try Locast! In our cable and satellite-dominated world, it’s easy to forget that cable and satellite TV are not the only options for watching television. Over-the-air (OTA) television is the oldest form of television broadcasting, using powerful radio signals to deliver content directly to your TV. And, guess what? OTA television is completely free. You don’t need a fancy cable subscription, an internet streaming service, or any other paid service to get the OTA channels in your area. If you didn’t know this, you’re definitely not alone. 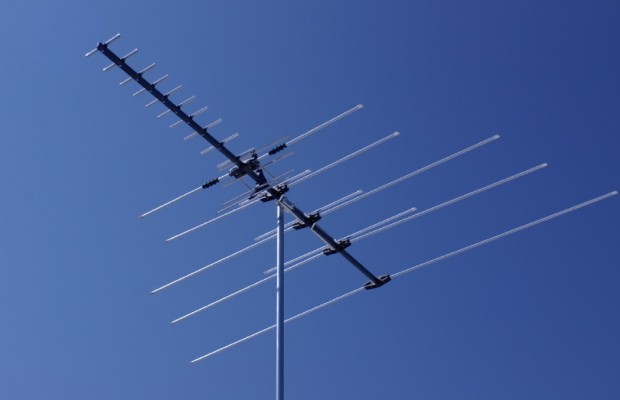 A full 30% of adults were not aware that they can get legal, free, HD channels simply by using an antenna to receive over-the-air networks, according to Consumer Reports. Sounds too good to be true? It’s not. All you need is an OTA antenna, a TV, and a little bit of know-how. In this guide, we’ll explore OTA television, and explain how you can start watching HD channels like Ion for free – without cable. With an investment of less than $100, and a little bit of research and legwork, you can set yourself up to watch HD programming from Ion and dozens of other channels – for free, forever. Here’s what you need to do. Among others. AntennaWeb is a great choice for checking your location, and seeing what OTA channels you can get. Next, you’ll need to get an antenna. This is what will allow you to actually receive OTA broadcasts. And things have changed somewhat since the days of “rabbit ears”. Here’s what you need to know about shopping for an antenna. Both indoor and outdoor antennas are available for a very low price – typically from $20-$40, so you won’t have to spend an arm and ad leg to get HD channels for free. If you live near the city, chances are that you’re less than 10-20 miles from your nearest Ion affiliate station. This is a good thing, because it means that you don’t need a super high-powered antenna to receive the signal. Most indoor antennas will, essentially, do the same thing. You have a couple of different choices. Amazonbasics antennas are highly recommended, and use a simple design that’s very cost-effective and easy to set up. Other options include brands like Viewtek and Tablo. Do a little bit of research, and find the one that’s right for your budget. If you live more than 40-50 miles away from a broadcast station, an indoor TV antenna probably isn’t going to cut it. You may get a bad signal, or fail to get reception entirely. In these cases, an outdoor antenna is what you’ll need. These are a bit more tricky to set up, as you’ll need to place them on the outside of your home, but they deliver a great signal from as far as 150 miles from broadcast stations. Most modern TVs include a built-in tuner, so you don’t necessarily need a TV tuner to watch your shows. You can just plug your antenna in, and get started! But if you invest in a TV tuner that has a built-in DVR, you can record your favorite shows to watch them later, and even watch TV on your mobile devices. Our recommended tuner is the HDHomeRun. The HDHomeRun TV tuner connects directly to your antenna and TV, and transmits digital OTA television content through your home WiFi network. All you have to do is plug it in and set it up, and you can access OTA TV on just about every app. You can watch TV on your Mac or PC, Android and iOS device, Xbox One, PS3 and PS4, and many more supported platforms. HDHomeRun also does come with DVR functionality. However, you will need to buy a $35 annual subscription to unlock it. The HDHomeRun is definitely the easiest TV tuner/DVR to set up, but there are quite a few other options if you don’t want to pay an annual subscription fee. Other leading brands include DVRs and tuners from Tablo and TiVo. But while you won’t pay a DVR service fee, these devices are quite a bit more expensive than the HDHomeRun. Just follow the instructions on your TV or your TV tuner to scan for channels. Your antenna will begin searching for broadcast networks that you can pick up in your area. After the scanning process is complete, you’re done! That’s it! After you’ve set up your OTA antenna, your TV tuner, and your DVR, you’re ready to watch Ion TV without cable. Ion has 52 owned-and-operated OTA stations around the country, and has also signed deals with most cable providers to deliver their content digitally. Interestingly, though, Ion technically delivers 6 different channels over-the-air – using only a single broadcast signal. This is known as “multiplexing”. Multiplexing combines several different sub signals into a single signal. While some other networks also make use of multiplexing, they usually limit themselves to broadcasting 4 channels on the same signal, while Ion broadcasts up to 6, in some regions. Only the flagship channel, Ion, is broadcast in HD, though. This is because of bandwidth restrictions. Ion can’t deliver 6 channels in HD, because it would take too much data. Here are the Ion channels you can expect to receive if you live somewhere with an Ion OTA station. Ion Television – The flagship Ion Television station is the only channel delivered in full HD. Ion Television features mostly syndicated shows, such as Psych and CSI: Crime Scene Investigation. Qubo – Qubo is delivered in standard definition. It’s a kid’s channel, focused on programming source from PBS Sprout. It also features some classic cartoons from Filmation, aired at night during the Qubo Night Owl block. Ion Life – Ion Life features mainly health and lifestyle programs, primarily imported from Canada. It features home improvement shows, a select number of feature films, and cooking shows. Ion Shop – Ion Shop primarily carries infomercials, though it also shares some programming with Ion Life and the main Ion Television channel. QVC Over the Air – As part of a partnership with QVC, Ion Television now delivers a special QVC channel known as “QVC Over the Air”. The programming on this channel is identical to that of the main QVC channel, focusing on educational, sales-focused content. Home Shopping Network – Starting in 2013, Ion began carrying Home Shopping Network (HSN) on their sixth digital subchannel. Though HSN is broadcast in HD, the simulcast Ion Television affiliate is delivered in standard definition. The availability of each channel will vary, depending on your location and the subchannels available from your local affiliate station. If you take the time to set up an OTA antenna and a TV tuner, you’ll be able to enjoy much more than just Ion programming. The channels you will receive depend on your location, so we recommend using a tool such as AntennaWeb to see the total number of channels you’ll be able to receive. These stations are the most common broadcast networks, and you’re probably quite familiar with them already. They reach the vast majority of American households. ABC – ABC reaches 97% of U.S. households, delivering shows such as The Bachelor and Scandal, as well as local news on affiliate stations. Fox – Fox reaches 97% of U.S. households, with shows like The Simpsons, Gotham, and Family Guy. CBS – CBS is also broadcast to 97% of U.S. viewers, featuring Survivor, The Big Bang Theory, and a number of other popular programs. NBC – NBC, like ABC, Fox and CBS, reaches 97% of viewers with an OTA signal, with content like Saturday Night Live, The Voice, and This Is Us. The CW – While The CW only launched in 2006, it quickly has become a major OTA network, reaching 95% of U.S. homes with original programming like The Flash, Jane the Virgin, and Riverdale. PBS – PBS reaches 96% of Americans with shows like Nova, Frontline, and PBS Newshour. Create – Create reaches 74% of OTA viewers, and is focused on content such as home improvement and DIY programming. World – World (previously known as PBS World) reaches 59% of households in the U.S., focusing on non-fiction programming like documentaries, interviews, and coverage of public affairs. Most OTA viewers will have access to at least one Spanish language network. Univision reaches 49% of U.S. households, Estrella TV reaches 46%, and Telemundo reaches 61.6% of households. 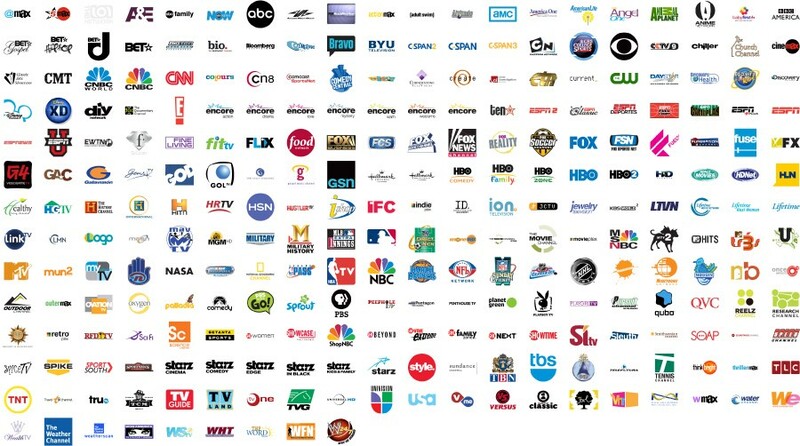 There are hundreds of OTA channels available, depending on your geographic location. You can get a full breakdown of common channels on Wikipedia, or use a tool like TabloTV or AntennaWeb to see what you can get in your area. Well, the short answer is that you can’t. Cable-only networks, such as USA, FX, and AMC have never been delivered over-the-air – and they’re probably not about to do so in the future. Unfortunately, there is no way to watch cable channels with an OTA antenna. However, that doesn’t mean that there is no way to watch your favorite channels without cable! If you’ve set up your OTA antenna, but are still missing out on some of your favorite stations, you don’t have to go crawling back to the cable companies. Today, there are 7 major “Internet TV” services available for cord-cutters. These services range in cost from about $20/month to about $45/month for a basic subscription. The channel selection varies between each service, so you can check them out for yourself, and see which one has the cable networks you want. Best of all, each of these internet TV services is currently offering a free trial period. You can try each one out, and see which one is the best option for augmenting your OTA antenna. If you don’t have a TV antenna, or don’t want to purchase one just yet, you can try using Locast. Locast is a non-profit service that offers a wide range of local TV channels normally only available over antenna. You can stream directly from Locast.org, or using a dedicated app available for iOS and Android. Unfortunately, Locast is available in only 7 locations: New York, Chicago, Dallas, Boston, Philadelphia, Houston, and Denver. The service uses geolocation to determine where you’re located.